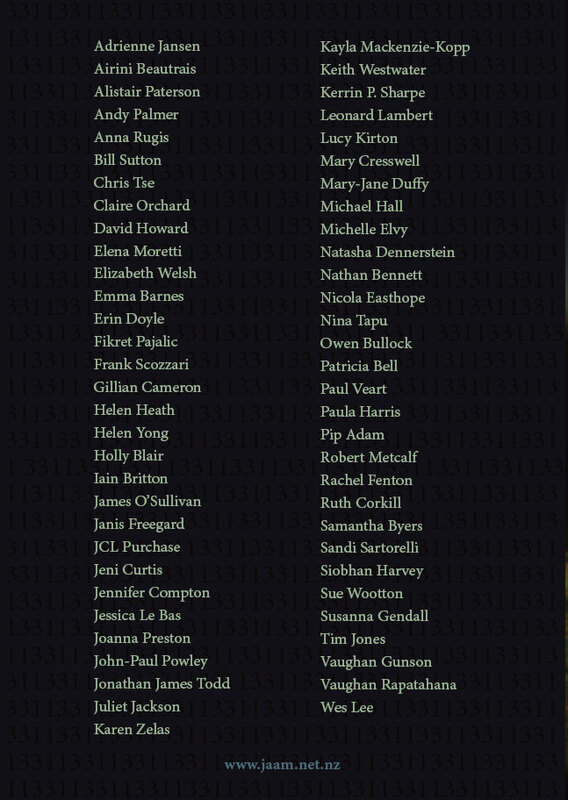 Thanks to everyone who has submitted – and there were lots of you! We’ll be in touch soon. If you want to submit work to JAAM 32, you’d better get a move on! The deadline is the end of March, which is next Monday. Read the call for submissions before you submit: https://jaam.net.nz/2014/01/06/call-for-submissions-jaam-32-shorelines/. Thanks to all the people who have submitted already. We’ll be in touch with you soon. Submissions are now open for issue 32 of JAAM literary journal. For this issue we are shifting south, and are delighted that Dunedinite Sue Wootton is our guest editor for our 2014 issue. 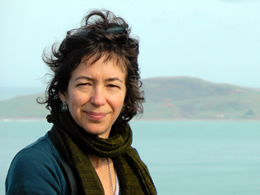 Sue is probably best known as a poet – she has published three collections of poetry, most recently By Birdlight (Steele Roberts, 2011), and has won awards for her poems. But she’s also an experienced prose writer. Her ebook of three short stories, The Happiest Music on Earth, was published in 2012 and her children’s book, Cloudcatcher, came out in 2010. Sue has twice been a runner up in the BNZ Katherine Mansfield short story awards, has been a finalist in the Sunday Star Times and Royal Society of New Zealand Manhire Prize short story competitions, and has won the Aoraki Literary Festival short story prize. The theme for JAAM 32 is ‘shorelines’, and Sue welcomes submissions that consider this theme from any angle, loosely, or not at all. JAAM publishes poetry, fiction, creative non-fiction, essays, photography and other artwork. Please don’t send simultaneous submissions, more than six poems or more than three prose submissions. JAAM prefers emailed submissions. Send to jaammagazine@yahoo.co.nz, using ‘JAAM submission’ (or similar) in your subject line, so we know it’s not spam. Include your submission(s) in the body of your email. If you have particular formatting, you can also include your submissions in an attachment (.doc, .rtf, .pdf or any image file type is ok for images). Make sure you include a stamped self-addressed envelope for reply. The deadline for submissions is 31 March 2014, and JAAM 32 will be published in or around September 2014. Subscribers, contributors and friends … come along and help us to celebrate the launch of the latest issue of JAAM magazine. JAAM 31: the 2013 issue is being launched on Friday, November 15th at 19 Tory Street, Wellington, at 6 pm. Come share a drink and listen to taster readings of the exciting contents by some of the talented writers in JAAM 31. JAAM 31 will be on sale for $20. Getting on top of life, unemployment, poverty, earthquakes, terrorism, violence, illness, death, magic, the past as present, overcoming ghosts, Pākehā learning from Māori culture, migration, young people finding themselves, mothers, family, love. These are some of the answers to the big question JAAM 31 asked of their writers: what are you thinking about now? What is your 2013 issue? 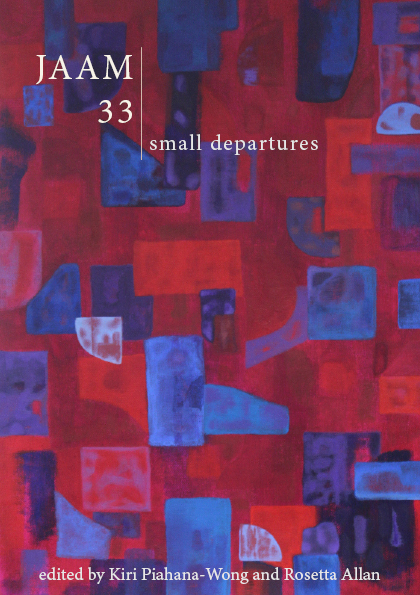 This latest issue of JAAM includes new poetry, short stories and creative non-fiction from many well-known writers including Pip Adam, David Howard, Jessica Le Bas and Airini Beautrais, and also from emerging writers you can expect to see a lot more of in the future. It also features a series of photographs from Wellington photographer Andy Palmer, whose arresting night-shot of Mt Taranaki graces the cover. JAAM is published by the independent JAAM Collective based in Wellington, and is supported by funding from Creative New Zealand. JAAM is available from good bookshops or by subscription. For subscription information, visit https://jaam.net.nz/subscribe/ or email jaammagazine@yahoo.co.nz. For more information or to arrange an interview with the editors, contact Helen Rickerby, JAAM co-managing editor, jaammagazine@yahoo.co.nz or phone 027 738 5997. 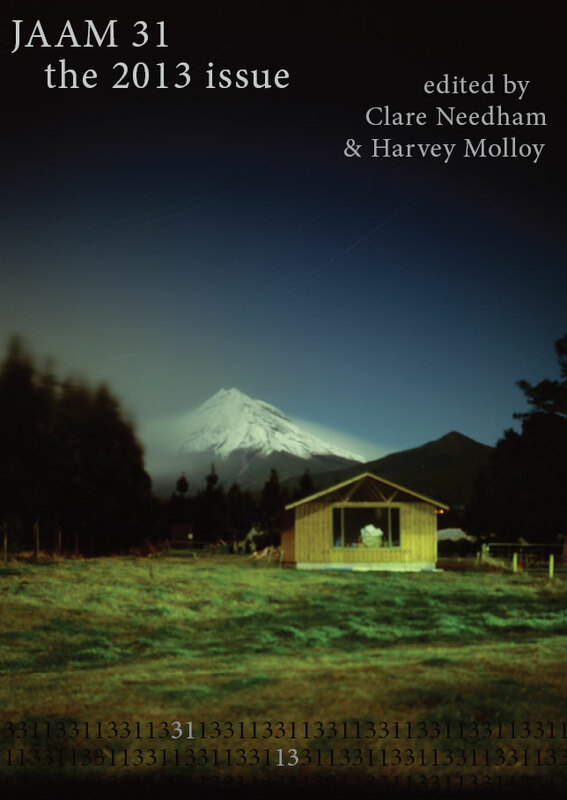 The striking cover image is ‘Taranaki, 11 June 2003’ by Andy Palmer, from his series Of a Comfortable Night’s Sleep of long-exposure night shots. Six of the images from this series are included inside the issue. Submissions are now open for issue 31 of JAAM literary journal: The 2013 Issue. This is an open-themed JAAM. We want to hear what The 2013 Issue is for you. JAAM considers poetry, fiction, creative non-fiction, essays, photography and other artwork. We are delighted to announce that JAAM 31 will be jointly edited by first-time guest editor, poet and teacher Harvey Molloy, along with JAAM‘s co-managing editor Clare Needham, who has previously been the prose editor for JAAM 24 and JAAM 28. The deadline for submissions is 31 March 2013, and JAAM 31 will be published in or around September 2013.